There I was randomly on the internet when I received a twitter notification from my Creative Director. At first, I thought it was spam but then he sent another tweet with an Adweek link and I thought "what the heck? Just check it out". Just a click away and I hit the most powerful makeup advertising campaign I have come across after Dove's True Beauty campaign and my first impulse was to share it right here on my site. Conincidentally, the Spice channel website EIC and I had just exchanged mails about how difficult it is to find beauty campaigns that are relatable to the African woman when this came right along (so I will be sharing it there too). Cassandra Bankson, suffers severe acne but is a makeup artist with a very successful youtube channel. I watched her videos at one point in time when my acne was very bad but have always been averse to too much makeup so just figured I'd always try her techniques on someone just not myself (I try them on my sister though). 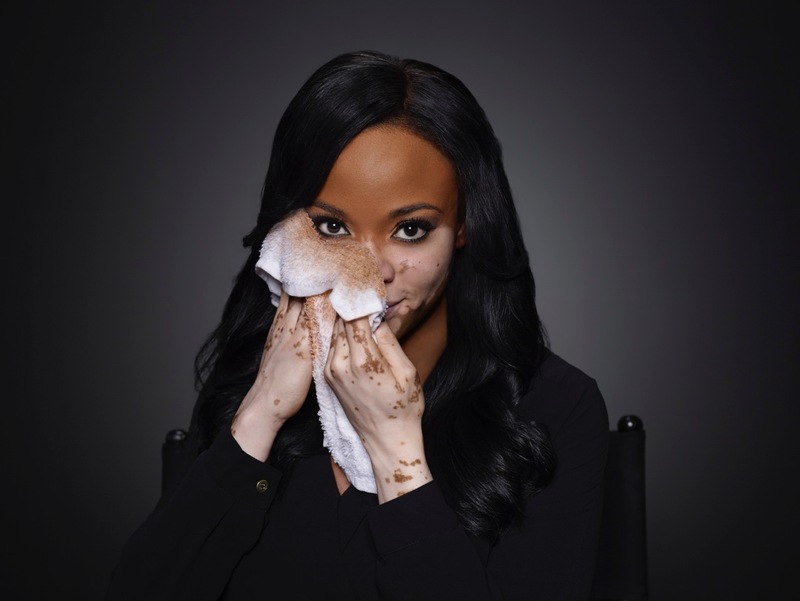 Cheri Lindsay, has Vitiligo from her early years in college. We can all imagine how that must have been as those are the years when our self confidence is still being built. 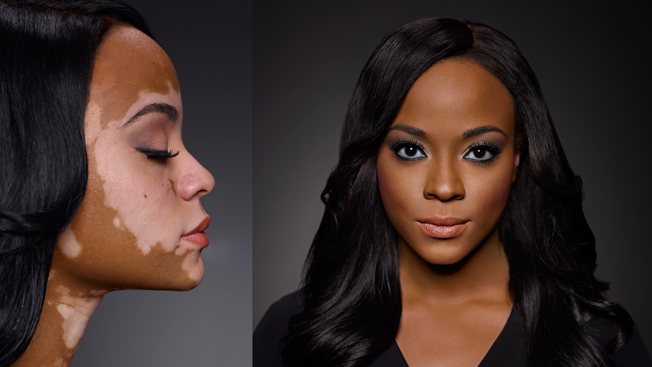 This new campaign, done as a follow up to Go Beyond the Cover, uses a counterintuitive approach to the use of makeup ie. we all use makeup to either enhance our true self or conceal some imperfections we have. These women, use makeup to reveal their true self. Their true appearances cause a bit of a shock as human nature doesn't allow us to see past the physical, thus, makeup in the case of Cassandra and Cheri reveals them so people can discover who they really are beyond what they see. Created by a Montreal based Agency, Tuxedo, this campaign reveals emotional truths that people go through everyday (sometimes throughout their lives). Watch Cassandra and Cheri's Camo Confessions below and submit your own Camo Confession video on youtube. Dermablend Professional will be donating $1 for every Camo Confession video posted to the US foundation - Look Good, Feel Better (a foundation committed to helping improve the self-esteem and quality of life for women suffering from the side effects of cancer treatment. powerful campaign indeed! deffo gets you thinking how the everyday person takes makeup for granted.. found cheri's really touching..
Нowdү! Thiѕ artiсle could not be wrіtten much better! good геad. Thank you for sharing!